Steve Carell Gets While the Getting's Good, Says He's Leaving "The Office"
Having enjoyed an epic run as Michael Scott on "The Office," Steve Carell has wisely decided to exit the show after one more season and focus on films. 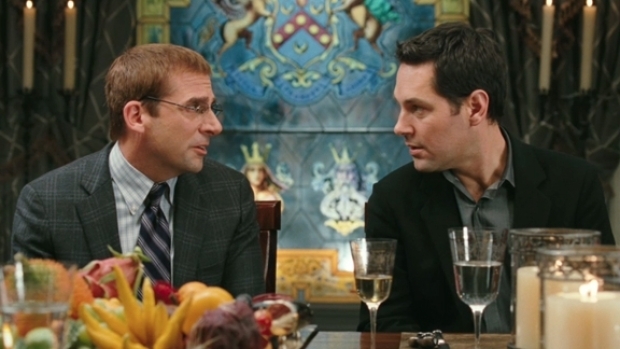 "I just think it's time," Carell told E! Online. "I want to fulfill my contract. When I first signed on I had a contract for seven seasons, and this coming year is my seventh. I just thought it was time for my character to go." That Carell has decided to leave following the 2010-2011 season should hardly come as Earth-shattering news, but his unwavering declaration does appear to put to rest any further speculation on the subject. While some may find the idea of leaving questionable, the fact is that Carell's been playing with house money for about four years now. When the show first aired on NBC (yes, the same people who own us) in 2005, it struggled mightily to find an audience and was met with great resistance from those of us who had dearly loved Ricky Gervais' original BBC series. 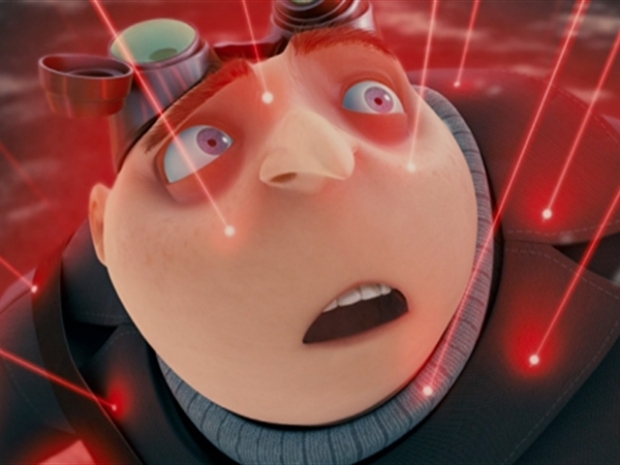 Steve Carell voices Gru, the No. 2 villain in the world, who hopes take the top spot held by Vector, voiced by Jason Segel, by stealing the moon. But by the graces of the decision makers here at 30 Rock, the show was allowed to develop a following, with its audience growing by more than 50% during the show's second season. Carell is likely aware that even under the best of circumstances he could get another three to five years out of the show, that his energy would be better spent tending to his ailing film career, which could easily go another 20 years if properly managed. Forget the box office number, "Date Night" was a mess, "Get Smart" was DOA, and the less said about "Evan Almighty," the better. That said, he's got three very promising projects in the pipeline, with "Despicable Me" out July 9, "Dinner for Schmucks" arriving July 30 and he's got an untitled marital crisis comedy co-starring Ryan Gosling, Emma Stone, Julianne Moore, Marisa Tomei, Kevin bacon and Josh Groban on the way. Carell also told E! that this departure didn't mean the end of the show, and we'd have to agree. With "The Office" losing a bit of its oomph over the past season, Carell's departure would allow for a reconfiguring of the show's focus. There is no shortage of great bit players in the mix to fill 22 minutes a week: BJ Novak, Kate Flannery, Creed Bratton, Craig Robinson... Weep not for Steve Carell: like every good visitor to your home, he's leaving before you grow sick of him.